Mobile applications can give organisations innovative and compelling ways to interact with their customers, employees and partners. However, mobile apps can increase security and compliance risks by increasing the attack surface for hackers or by inadvertently creating a risk of unauthorised access and data loss. This webcast will examine the mobile application threat landscape and emerging trends. 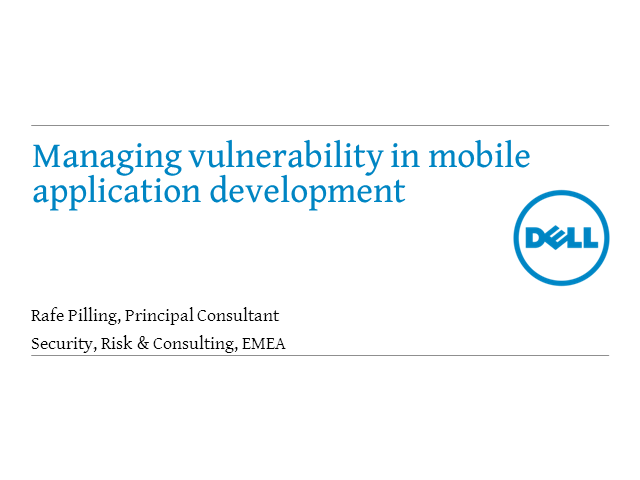 Rafe Pilling, Head of Security Testing at Dell SecureWorks, will discuss how to build a secure mobile application development lifecycle and present best practice for mobile application security testing. Mobility is here to stay, so ensure that you are ahead in managing the risks so you can say “yes” to your organisation’s wants .